Having literally spent years of my life on the road, I’ve faced my fair share of travel-induced ailments– grisly tummy troubles, bizarre skin funguses and boils, all kinds of bug bites, bus and boat sickness, and cuts, scrapes and bruises owing to jungle treks and motorbike spills. Stubbornly against chemical-laden allopathic medicines, I used to let the sickness or pain run its course for lack of natural-cure knowledge. This usually took ages, and was surely not the smartest thing to do. Now that I have the wisdom of Ayurveda to guide me to self-healing, travel has become much less painful and healing time is swift. On my last few trips abroad I’ve curbed sickness at its onset with all-natural Ayurveda. Nature offers everything we need for general first aid. These are the ten herbs, oils, and supplements I always keep in my bag when journeying afar. Tumeric is a natural antibiotic and pain-reliever. Used externally on cuts and scrapes, it helps to quickly clot blood and disinfect wounds. Tumeric also relieves itching, bruises, and strains. Make a paste of 1 tsp honey (organic Manuka would be ideal!) and 1/4 tsp tumeric, and apply to the wound. If you don’t have honey, you can apply tumeric powder directly to a wound, or make a paste of water and tumeric and use where needed. If you’re traveling to an exotic foreign land where traveler’s diarrhea is so common that it has a slang name (Delhi belly, Montezuma’s revenge, or Turkey trots), kutaja is a must-bring. 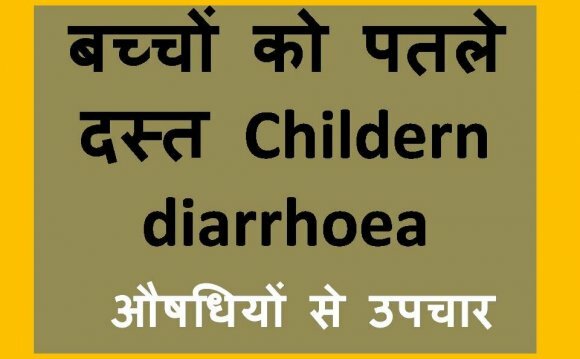 This Ayurvedic herb is one of the best for diarrhea and dysentery. It restores colon function, destroys parasites, and promotes well-formed stools. In case of diarrhea, take 1/2 teaspoon kutaja in 1 cup of hot water twice a day. Aloe vera naturally soothes and hydrates. It’s great to have on hand when you’ve been overexposed to the elements. Apply aloe vera gel externally to rough, dry, itchy, or sunburnt skin. Triphala comes in handy for sore throats, constipation, and to boost the body’s natural defenses before and during travel. This combination of three fruits has natural antibacterial properties, a high Vitamin C content, and supports healthy elimination. For sore throat, gargle with 1/2 teaspoon triphala mixed in warm water. For constipation, mix 1 teaspoon triphala with 1 cup hot water and drink before bed. To boost your immunity before and during travel, take 1 tsp triphala mixed in 1 cup hot water daily. ** Do not use triphala if you have diarrhea or dysentery. Backpackers especially face frequent bumpy/windy/swaying modes of transportation and impending motion sickness. Ginger helps to relieve nausea, minus any drowsy side-effects. Take 1 to 2 ginger capsules every few hours while on rough roads and seas. Fennel is a great spice to bring on travels. When you’re eating out every meal and regularly over-indulging– or even just consuming foods your belly isn’t used too– odds are you’ll face indigestion. Fennel helps to relieve acidity, cramping, gas, and strange stomach pains. Chew and swallow 1 1/2 teaspoons of fennel seeds after lunch and dinner (and oily breakfasts). Tulsi, or holy basil, acts primarily on the respiratory system. It alleviates the symptoms of cough, cold and flu, and helps to dispel the kapha dosha from the respiratory passageways.